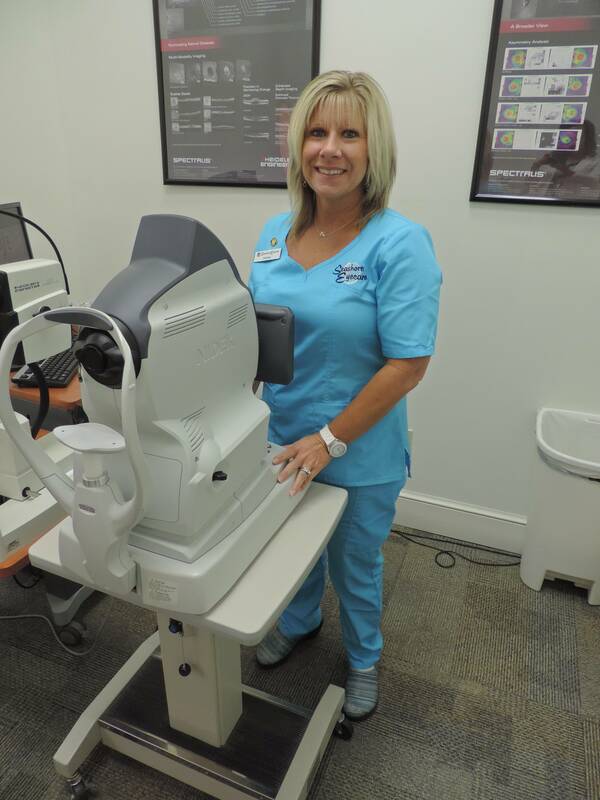 Andrea is our only Certified Paraoptometric Assistant on staff and has trained extensively for her position. She manages and trains our staff as well as patient care. She has been with our office going on eleven years. Several tests are performed at our office before you see the doctor. These are designed to give the doctor important information to help her better understand the condition of your eyes and vision. Our well trained clinic staff is responsible for this aspect of your examination called pretesting. They are also responsible for guiding you through some tests the doctor may feel are necessary after the examination such as visual field testing , fundus photography, Optical coherence tomography (OCT) which is a non-invasive imaging test of your retina, macula, optic nerve, etc. as well as contact lens training and management.